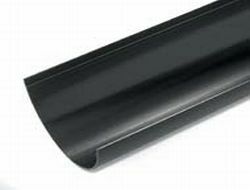 The Polypipe cast iron effect Elegance range is a stylish collection of guttering and downpipe products with a decorative effect that combines the look of a traditional cast-iron systems with all of the product & installation benefits of using PVC-U as the manufacturing material. 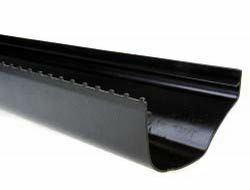 The end result is a traditional looking, but modern and efficient, rainwater system that has little of the degradation drawbacks of original cast iron installations. Every attention to detail has been taken by Polypipe in creating the Elegance cast iron range, which offers a lightweight, low maintenance solution with a more distinctive design style and is suitable for all residential new build and renovation projects. Elegance not only looks great it is easy to store and handle, and quick to assemble and install. Elegance is fully compatible with most other modern rainwater systems but also incorporates some bespoke features and benefits. Our unique lugged brackets ensure a secure fit, whilst remaining compact and unobtrusive in design and our decorative hopper has been designed to replicate the look of heritage cast iron systems.